Irma Bohórquez-Geisler is the Founder, Artistic and Program Director of the annual New York City Day of the Dead Festival on Staten Island, established in 1992. Irma directs and organizes New York City Day of the Dead Festival in Staten Island to preserve Mexican traditions, to be connected to our homeland, to support spiritual and artistic practices and visible forms of creation that help Mexican and Mexican-American people in our community know who we are. A native of Mexico City, Irma migrated to New York in 1991. She has presented Mexican traditions at many museums, schools and other institutions. A photographer, Irma has exhibited work at a number of contemporary art galleries and museums. She holds a Ph.D. in Ecological Entomology from Oxford University and she received a Bachelor of Science degree in Biology from Autonomous University of Mexico City (UNAM). She has been awarded grants for the Day of the Dead festival as well as for her photography from Staten Island Arts, NYFA Mentoring Program for Immigrant Artists, from the New York Foundation for the Arts and JP Morgan Chase. 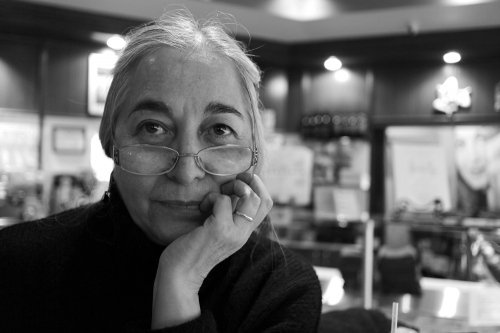 In 2011, City Councilwoman Debi Rose conferred on Irma the “Staten Island Women Who Preserve History” award for her current long-term photo essay on the Mexican Immigrant Community in New York. Irma is also a jeweler.